In today’s New York City, every development battle seems to pit hardheaded advocates of Robert Moses-style mega-building against local activists who invoke Jane Jacobs’s ideals about neighborhood life. The Moses-vs.-Jacobs frame offers a compelling story: the powerful, unaccountable “master builder” of 20th-century New York, who by force of will and personality yanked the City into the modern age, is cut down by a Greenwich Village writer whose unique ideas about the value of old buildings and lively urbanity inspired activists around the world. Simplistic as it is, this narrative has so dominated public discourse that it has blotted out the visions advanced by New York’s other past city builders and preservationists. One once-towering figure whose name has generally slipped from public consciousness is that of George McAneny (1869-1953), a public official and civic leader who shepherded New York City’s first zoning law into being, brought much of the subway system into existence, preserved downtown landmarks from City Hall to the Battery, and became a national preservation pioneer. In fact, McAneny was Robert Moses’s most dogged antagonist well before Jacobs rose to prominence. McAneny led the fight to prevent Moses from marring Battery Park with a giant bridge, convinced the federal government to preserve Federal Hall as a national historic site, and spent many of his last years trying to save the historic Castle Clinton from Moses, who had determined to destroy the monument. In New York’s Pioneer of Planning and Preservation: How George McAneny Reshaped Manhattan and Inspired a Movement, made possible by a research grant from the Archive Project and published last fall on the organization’s website (click here to download a PDF), I take a close look at these and other battles and place them in the context of McAneny’s lengthy career. I was able to draw upon archival materials recently processed by the National Park Service that reveal how activists led by McAneny worked during World War II to prepare the ground for a robust preservation campaign after the war’s end. These materials also help demonstrate that McAneny’s tireless work on behalf of Manhattan’s national monuments propelled him to the front rank of American preservationists and positioned New York City at the vanguard of the preservation movement well before the Penn Station fight and the creation of the Landmarks Law. 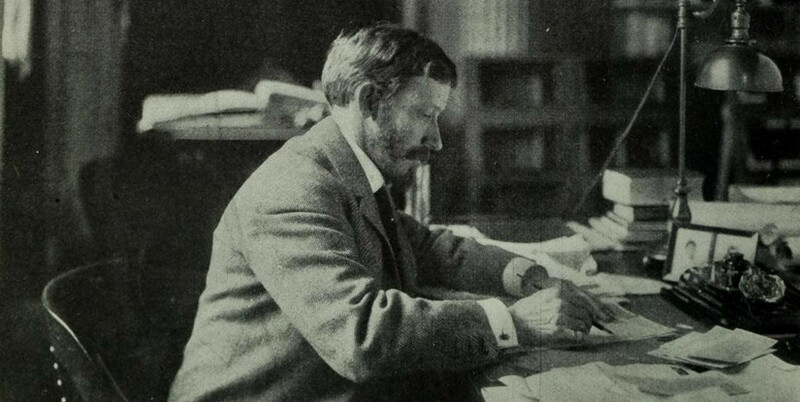 Drawing on these and other archival sources, as well as work by prior researchers, the manuscript is the first examination since McAneny’s death of the scope of his planning and preservation career. It shows that as he advanced solutions to a complex array of public needs, McAneny made decisions that preservationists today would not always agree with. During his term as Manhattan Borough President (1910-13), he forced through a widening of 21 miles of Manhattan streets, lopping architectural details off numerous buildings and sacrificing broad sidewalks to widen streets for automobiles. But a few years later he spearheaded a unique public-private partnership in an ultimately unsuccessful attempt to save the elegant, 1803 St. John’s Chapel, and his commitment to preservation strengthened in subsequent decades even as he headed the growth-oriented Regional Plan Association. By tracing the arc of McAneny’s career, we can see how one of New York’s most influential city-shapers safeguarded a place for preservation amid the growth of the metropolis. Charles Starks teaches urban studies at Hunter College. He has spoken on McAneny to the Society of Architectural Historians, the Urban History Association, and at a NYPAP-sponsored program at the Federal Hall National Memorial.